Mastercard has announced that from Friday 12th April 2019, anyone planning to spend abroad with a pre-paid Mastercard will no longer be subject to expensive currency exchange rate fees from dynamic currency conversion (DCC). It is a move that is almost certainly a response to the popularity of pre-paid cards and app only banks such as Revolut, Starling Bank and Monzo that already offer little to no fees when spending abroad. This means that when you use your pre-paid Mastercard, such as Caxton, FairFX or Virgin, you will automatically be billed in the local currency rather than having the option of paying in either the local currency or GBP. 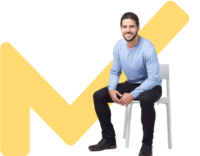 As a result, you should get a better deal when spending abroad, as by eliminating the choice to spend in GBP, customers will no longer be subject to additional fees and higher exchange rates added by the retailers bank. 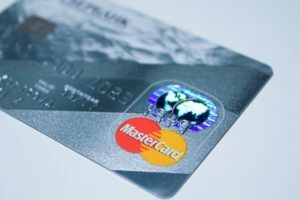 What does Mastercard charges being scrapped mean for me? The change comes into effect from 12th April 2019 with Mastercard confirming that "Dynamic currency conversion will no longer be offered for prepaid multi-currency Mastercard cards, as these cardholders have predetermined the currency they wish to pay in, before they travel and any purchases are made." This means that from 12th April 2019, all pre-paid Mastercard users will now pay in the local currency and will no longer be offered the choice of how to pay. This means that businesses or retailers will no longer be able to offer customers the choice and any transactions made via an ATM or card terminal will automatically be processed in the local currency across all countries. Has Mastercard scrapped charges for spending abroad on my debit or credit card?